This is my first attempt at this swirl. It’s ok but needs a lot more swirls. Pleased with the Christmassy black fig and sultana fragrance but the colour was meant to me more gold than pink. I need to work on colours more. Overall happy as haven’t been soaping for awhile. This entry was tagged handmade, Soap, soapmaking. Bookmark the permalink. 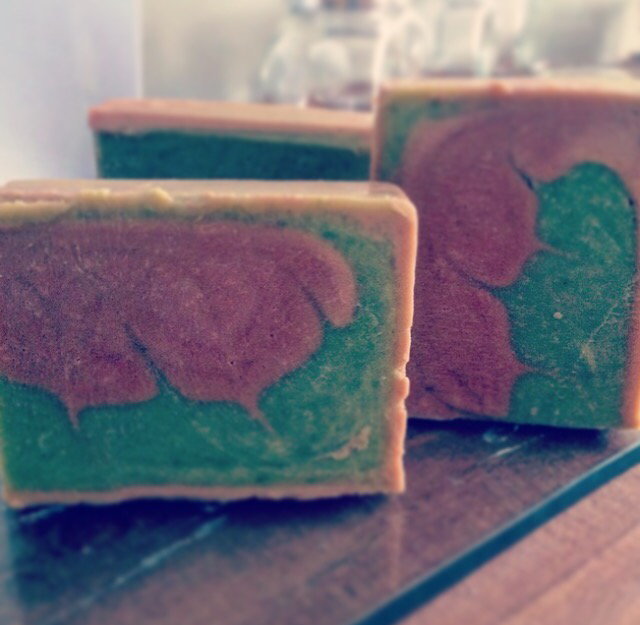 ← First soap batch of the year..